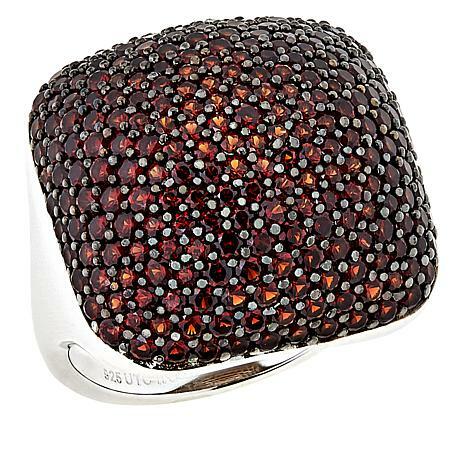 If any gemstone was destined to light your fire, it's Pyrope garnet. 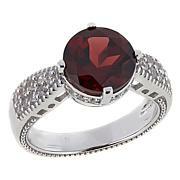 Its deep purple-red hue splashed across a dome ring is the perfect spark for mesmerizing style. 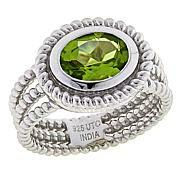 Beautiful stones but prong work is weak. I ORDERED THIS TWICE, BY MISTAKE THE SECOND TIME. 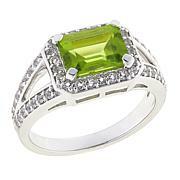 THE RING IS MUCH SMALLER OVERALL THAN PICTURED OR IMAGINED. TOO BAD IT ISN'T AS LARGE AS IT COULD BE. IT WOULD BE WONDERFUL. 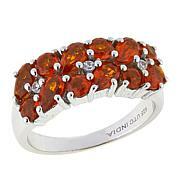 LOVE THE PYROPE GARNET. I HAVE THE EARRINGS AND THEY ARE FABULOUS! THEY ARE LARGE STONES.